In this day and age of fitness and health awareness, purchasing a bike is a simple and effective way to keep yourself in tip-top shape. Cycling is one of the best ways to exercise and is a brilliant way to get around town without adding to issues like air pollution. Using an electric bike provides all the health benefits of regular riding while giving you a bit of a push when you need it, to ensure you get the best work out. When searching for an electric bike, there are plenty of options available and with a bit of research, you can find the best bike to fit your budget and your lifestyle. 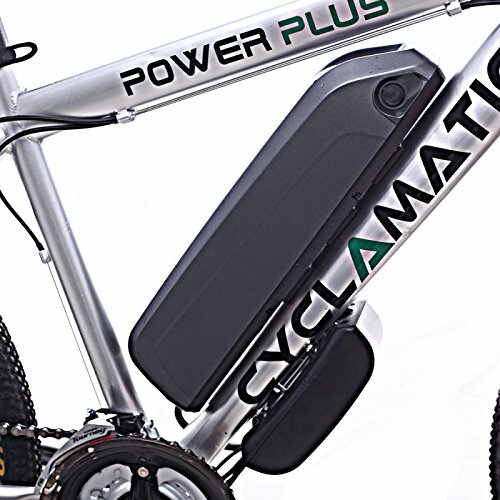 To help you with this, we have reviewed one of the most popular electric bikes available on the market; the Cyclamatic Power Plus CX1. 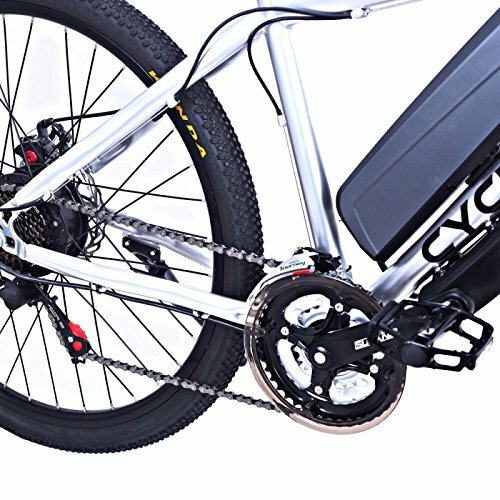 Depending on where you intend to use your electric bike is obviously key to purchasing the right one for you. If you are purchasing it for commuting, you may require one that folds down. If you will be using it for long treks in the mountains, you will need to examine durability and weatherproofing. Sounds obvious but with all thing electrical, battery life is essential. How often will you be using the electrical component of your new bike and thus how much battery life do you need? It is not worth purchasing a more expensive bike with longer battery life if you are riding it on flat surfaces. Also, check that you can easily purchase spare batteries that the bike requires for emergencies. Does it come pre-assembled? If you are not a Tour de France expert, putting a new bike together from scratch may seem daunting. As most bikes from either retail stores or websites do not come preassembled, looking for simplicity in design and construction is a wise choice. Like the battery conundrum, ensure you can easily obtain tires, pedal, and other essential parts in case they require replacing. Accidents happen, especially if you are riding your bike in rough terrain, so make sure you have spare parts to hand in your garage or shed. The Cyclamatic Power Plus CX1 is a premium mountain bike with a sleek appearance and lightweight frame. 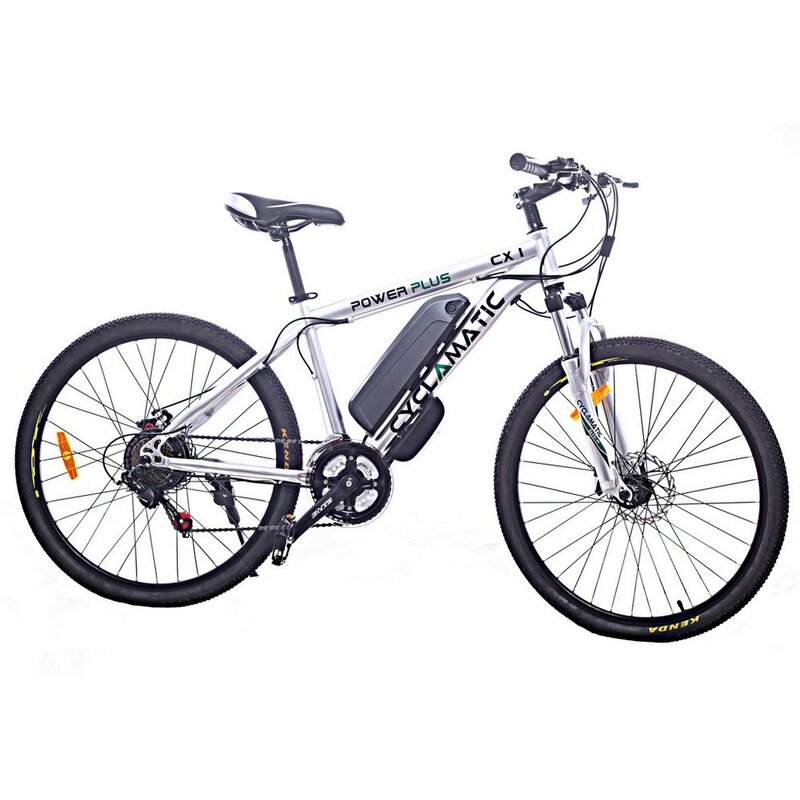 It has a brushless motor (25 W), an ion battery (36V) but be aware; this bike does not provide you with an easy ride! You have to put as much work into riding it as you would a push bike, but it has the added benefit of sensors to help you during tougher riding environments. Very easy to put together, even if you are inexperienced in the art of bike assembly. The instructions that this bike comes with are useful but could be a bit clearer in certain areas. The bike comes in four pieces so is not overly daunting to put together, showing great engineering expertise from the designers. It appears to have been designed not only for smooth assembly but to ensure that there are minimal ‘weak spots;’ areas that may be prone to breaking or becoming damaged. Also included is a small tool kit to help in the assembly, which is useful as it eliminates the need for specialist tools to put the bike together. 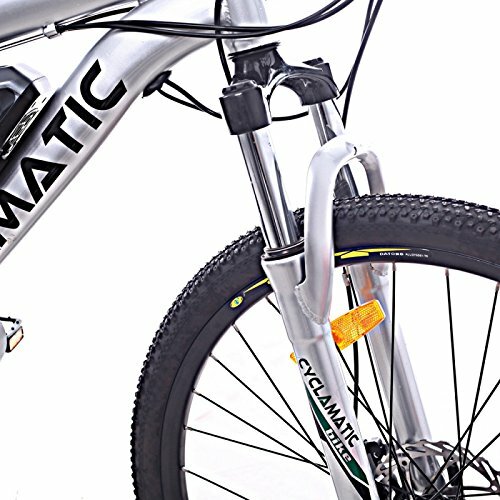 This bike has three levels of pedal assist, low, medium and high, which can be easily selected using a clear control on the handlebars; easy to identify and simple to change. The bike saddle is soft and easy when on bumpy terrain, fantastic for riding in woodlands. The 21-speed gears ensure smooth riding at all velocities and the tires appear to be very hardy and durable. The high assisted pedaling option is perfect for the end of the ride when your legs begin to feel slightly tired or for climbing steep inclines. The engine can also detect steeper incline and provides an additional boost to the bike, minimizing the likelihood of injury from excess pedaling. However, pedaling on the manual setting appears to make the bike feel heavier and somewhat sluggish. The ion battery has a simple sensor, which detects when you are pedaling and turns on. When you stop, it automatically switches off and so the battery life is extended. You can also use the bike manually as a simple push bike, which is perfect for smooth inner-city terrain or if you just want a tougher workout. Before you begin riding, the battery will require charging; roughly between 4-6 hours for a full charge and (depending on the terrain), can last for over 25 hours before running out. The battery is encased safely, preventing weather damage but is simple to release, perfect for a quick change. The engine is smooth and silent and on smooth terrain and battery life, can ensure a traveling speed on up to 15 mph. 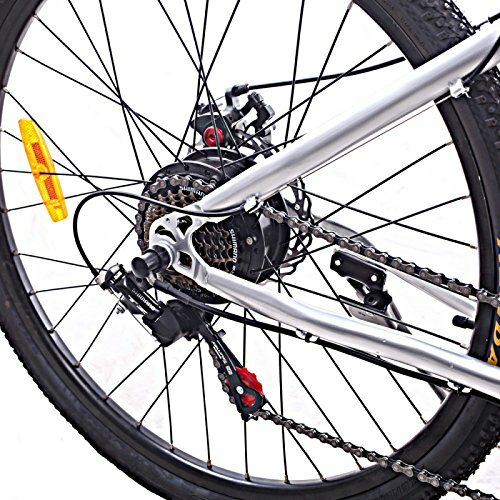 This bike is very impressive overall and is great for those who have experienced mountain biking or for those who are novices. The easy assembly is time-saving and is a great way to familiarize yourself with the bike components, without being overwhelming. The ion battery has a good run time and is simple to charge and easy to release when it needs changing. The bike is sturdy and durable, great for rough and smooth terrain.